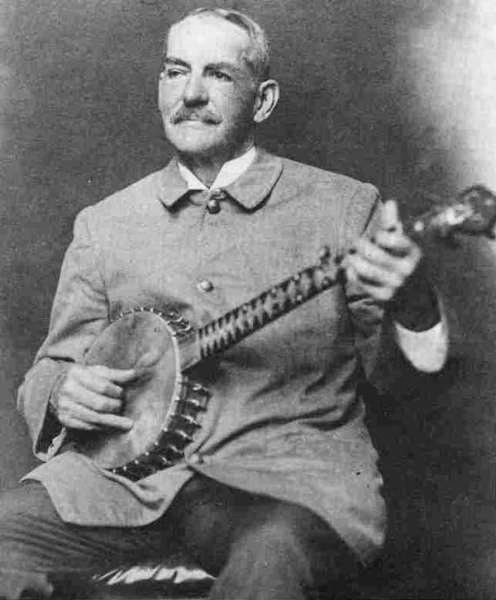 Polk Miller and His Old South Quartet | slate river ramblings . . . .
Polk Miller was born James A. Miller (1844-1913) at Green Lawn, the Miller plantation near Burkeville, is just across the Nottoway County line in Prince Edward County. 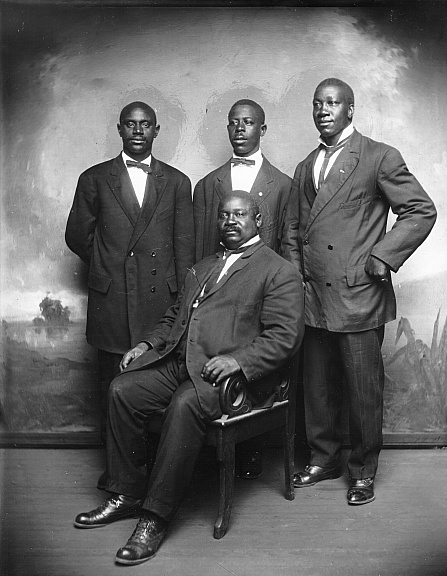 In the early 20th century, he toured both North and South with what was called “An evening of story and song on Old Time Down South.” Accompanied by a dignified quartet of African American men, Miller’s one-man show included stories, sketches, and songs. Publicity claimed that his act was “Absolutely Unique. The Only Entertainment Of Its Kind Before The Public.” Wherever he went, Polk Miller drew a large crowd. Undoubtedly his benefit performance for the Buckingham County Library on Friday, May 3, 1901 was no exception. I have yet to find a notice of his appearance in Buckingham County; however, there is evidence that Miller raised funds for other libraries, including Richmond’s Library Fund Broad Street Methodist Episcopal Church. On November 12, 1901, he performed at the YMCA Hall raising money for the Richmond library. General admission was $.25. Reserved seats cost $.50. I think our exposure to Virginia culture is incomplete without an exposure to the music of Polk Miller’s band. This is not only my own opinion, but, it is an opinion I gathered from the statements made by my father, who actually heard the band as a boy while growing up near Cartersville on James River–back in the days of Sen. John W. Daniel and Theodore Roosevelt. My uncle would also be insistent that the readers were aware of Polk Miller’s classic book on dog diseases. I remember seeing this in the card catalog at the Virginia State Library . I trust that that book is still in that collection, though I am sure it doesn’t circulate any longer. Harry, Many thanks for adding to today’s comments! Yes, Miller did end up in Richmond as a druggist. He lived across the river in the Bon Air community in Chesterfield County (part of Bon Air was annexed to Richmond in 1970). The Valentine Richmond History Center has a nice scrap book with many broadsides and clippings as well as one of Miller’s banjos. Gregg, Thanks for mentioning the scrap book and banjo at the Valentine. I have several of Miller’s Edison cylinders, including a performance of “Bonnie Blue Flag.” Miller was a Civil War veteran–a member of the Richmond Howitzers if I recall correctly. The Quartet was usually known as the Old South Quartet and they recorded for the QRS label without Miller in 1928 or so. Come to think of it, I believe it was Tom Booker from Amelia, that played the show in Farmville’s Opera House that I was thinking of, he would later tour with Polk Miller though. Buckingham Mysteries: Mrs. Cabell’s Library and Axtell Academy | slate river ramblings . . . .